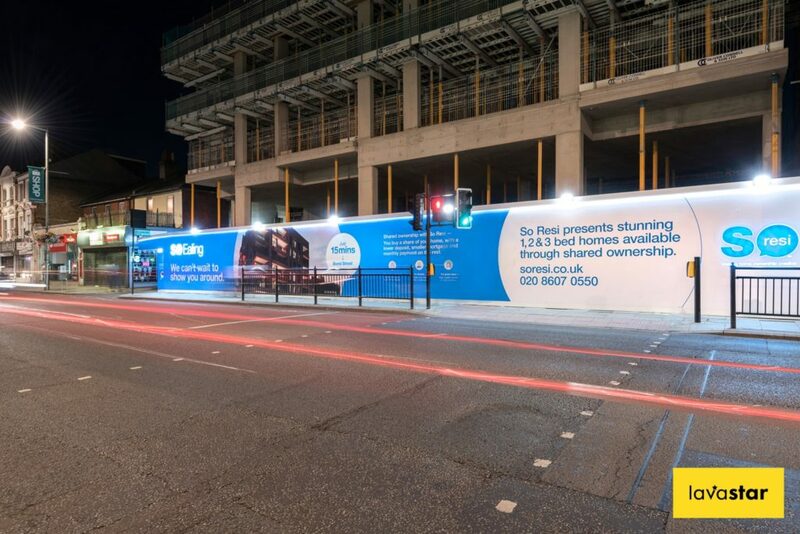 At Lavastar we specialise in the on-site branding and advertising of construction sites, with particular focus on hoarding signage. Over the years, we have proven ourselves as experts in our field and believe that there is no company better equipped to manage your hoarding signs than us. • Timber hoarding cladded in printed hoarding panels with raised trims, LED lighting, hidden light boxes etc. Lavastar offer a complete service for all construction site signage projects. This includes a site survey, free design service, production and of course, installation. This all-in-one solution allows us to offer unbeatable turnaround times and ensure that everything is tailored to your individual needs. For more information on site hoardings, please click here.